Regular sweeping, mopping, scrubbing, etc. of tile surfaces in your home is the best way to maintain it. Even if you do your best to keep up with daily and weekly cleaning tasks at home to keep your tile and grout in the best shape possible, it still isn’t enough. Professional tile and grout cleaning is something you don’t want to skip and here’s why. Over time many tiny particles work their way deep into the surfaces of your grout where no amount of at home effort is going to reach. 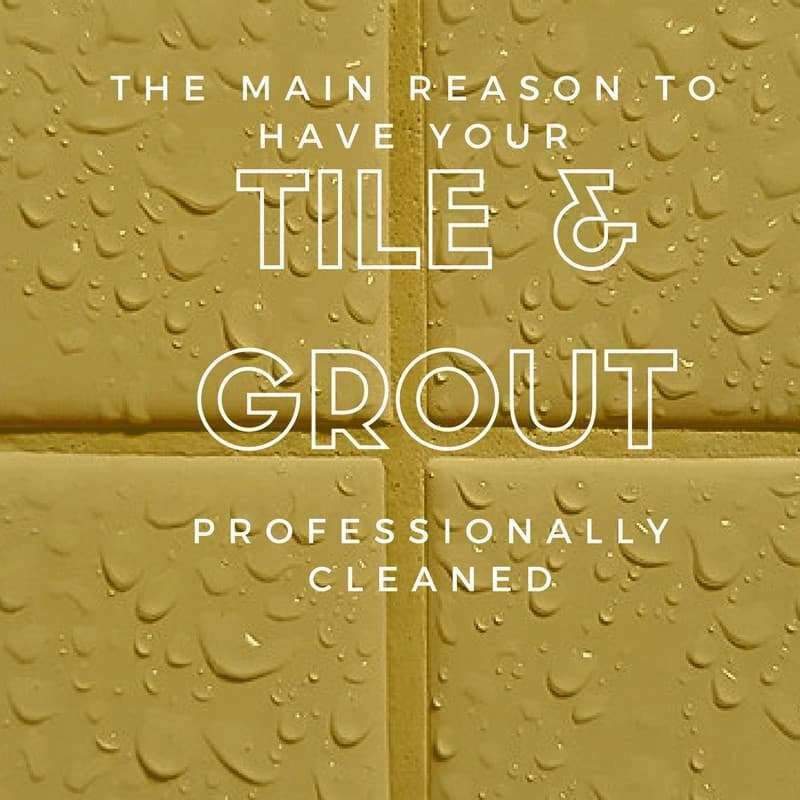 Tile and grout are porous objects that allow grime to penetrate deep below the surface. Scrubbing grout is a tough job that requires long periods of physically exhausting activity. Even after you spend the hours to bleach the grout it is still not as clean as it could be. Only professional tile and grout cleaning equipment is going to get into the deepest parts of the pores to clean and sanitize the deepest parts of your tile surfaces. Truck mounted equipment is used to get cleaning solution into the deepest part of the grout and then is extracted back out to prevent standing moisture where mold and mildew like to take up residence and breed. To deep clean tile and grout, there is a proper technique to use. Tile is tough and does withstand a lot of force and wear, but it is still possible to cause damage in a deep cleaning process if you do not know what you are doing. A professional will know the right angle, how much pressure should be applied, and which spots need extra attention. Scrubbing your grout too hard or using too much moisture could result in needing to dig out grout lines and reinstall them all over again. Once tile and grout are deep cleaned they should be sealed. After deep cleaning is finished your professional tile cleaner will provide the option to have a sealant applied. This is an important step. Sealant acts as a sort of barrier to help prevent staining. There are many reasons to have your tile and grout professionally cleaned at least once a year. For the best care of your tile only a professional cleaning is going to give you the results you need and want. All Kleen has been providing North Seattle tile cleaning service for over 30 years. We are knowledgeable and customer service and satisfaction are our main goals. Make an appointment online for the best in professional cleaning services. Does My Grout Need Replacing or Just Cleaned?